This one of a kind “Boston Fern Cuff” bracelet is made of sterling silver, 22k and 14k gold. The layered texture, lifted from a Boston fern, flows around the wrist to finish with bright silver caps. The dark patina contrasts with the stones and the gold. 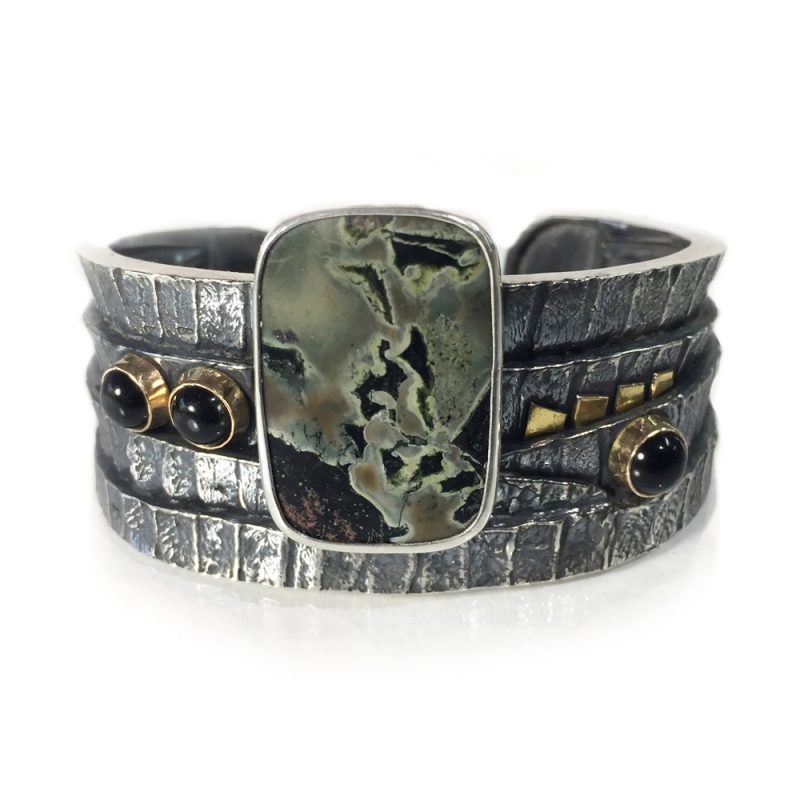 Jasper is the centerpiece with three onyx cabochons set in gold. Made for a 6 ½” wrist.